"We strive to provide excellent service!" As our economy gets tougher and jobs are scarce, one group of citizens we cannot forget about is our Veterans. 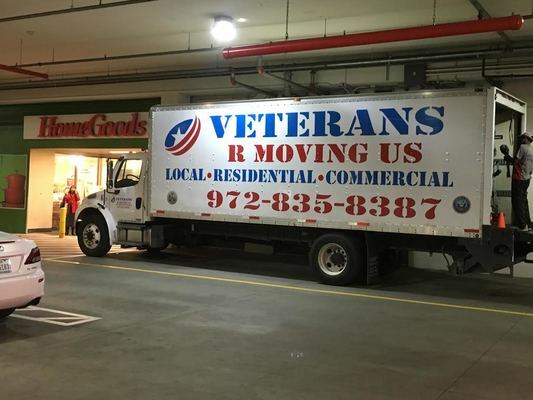 A group of Veterans got together and started this company called Veterans R Moving US. We strive to provide excellent service while taking care of your belongings. Our ultimate goal is to provide the best moving experience possible to make your moving process an easy convenience than a hassle. Our group of Veterans will provide you with a service that will be comparable to the quality of training and experience they have been through while serving the country in the military. Our goal is to help give back to our Veterans for their service and sacrifice towards our country. In appreciation for their selfless service 25% of our profits benefit Military Veterans and their families in need. We look forward to serving you.